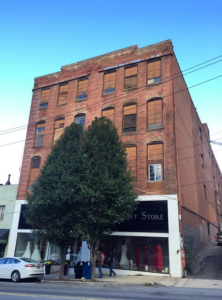 An Asheville-based group of investors led by Jon Sarver of Sarver Realty Group and Todd Fowler of Todd and Company Accounting have purchased a set of buildings on two of Asheville’s most eclectic downtown streets – Broadway Street and Lexington Avenue. It’s a huge block of downtown real estate, including one of the biggest buildings on Lexington Ave., a building that Urban Outfitters was rumored to be looking at for a future site of a Free People clothing store. I think this is great news, and I think downtown shop owners concerned about chains like Urban Outfitters and Anthropologie, which opened last fall just down the street on Lexington Avenue, should be breathing a sigh of relief. These buildings are in good hands, local hands. I got to know Jon Sarver last year as I covered development in the River Arts District and the restoration of the old Sky Lanes Bowling Alley. Sarver, a Warren Wilson College grad who maintains an office on Depot Street, has worked with many of New Belgium Brewery’s employees who are relocating from Colorado. He’s helped them find West Asheville homes close their workplace. And he’s done a great job of bringing back to life a dusty old bowling alley – have you seen the new restaurant there, and the Lebowski mural out front? Downtown properties 9, 11, 13 and 15 Broadway and 24 and 28 North Lexington Avenue were recently sold to a group led by Asheville business owners Jon Sarver of Sarver Realty Group and Todd Fowler of Todd and Company Accounting. The purchase was backed by the Asheville-based Alfie Lending Group, which provides real estate backed commercial loans to innovators and entrepreneurs. The group was represented by the John K. White Law Firm and includes Hans and Tina Doellgast of Jade Mountain Builders. The property, comprised of four buildings, is home to several popular businesses including Thai Orchid restaurant, Old Europe Café, Graphics Four, Write On and Wedding Inspirations. There are also several residential units, as well as considerable raw space that could be developed for additional residential and commercial use. The largest building has entrances at both 24 North Lexington and 15 Broadway and is frequently referred to as the “Star Building.” According to tax records, both Broadway properties were built in 1927 and the Lexington Avenue building was constructed in 1910. 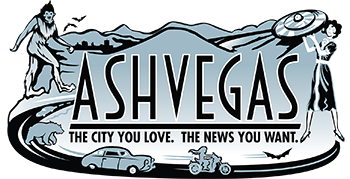 “Local, small business and entrepreneurs are the lifeblood of the downtown Asheville economy,” said Sarver. “We’re excited to be a part of that community with the purchase of these historic buildings and are committed to keeping their integrity intact.” He also added that the investors are hoping to partner with a local organization to support new business incubation. The new owner group anticipates updates and improvements to the property will begin later this summer. More information on this downtown development will be released as they become available. They also bought 362 depot st. – where his office is located. Im curious what they have planned here as well as for all of the tenants already in place downtown.